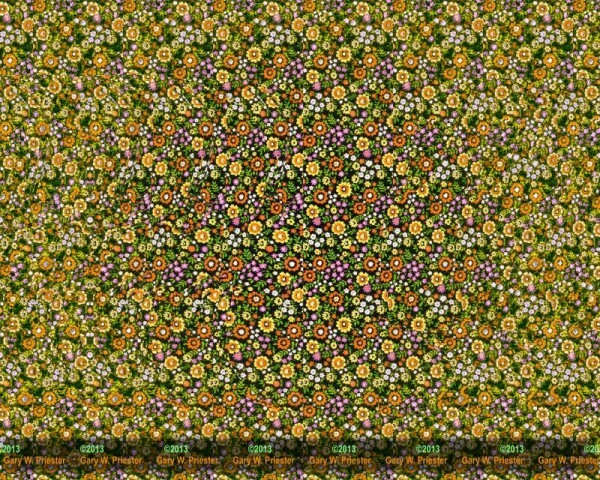 There is a butterfly hiding within the flowers of the image below. In order to see it, just stare at the image until the butterfly appears. 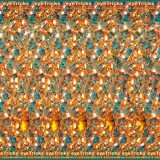 Gary Priester, one of the creative forces behind eyeTricks 3D Stereograms, created this colorful stereogram. Gary, along with fellow artist Gene Levine, can turn just about anything into a creative hidden image masterpiece. They have been commissioned by a number of companies to create custom works of art for advertising and promotional purposes including TV Guide, Coors, Caterpillar, Shell Oil, Visine, General Mills, Cique du Soliel, Cipralex and many other companies in the US and around the world. 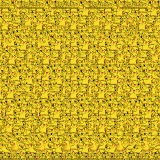 To view more stereograms, be sure check out the choir stereogram, cameras stereogram, and leapfrog stereogram.